Electronic mail documents in public files are protected by the same laws and policies and are subject to the same limitations as communications in other media. The University of Illinois at Urbana-Champaign participates in a range of computing networks and many members of the community also regularly use computers in their work. Statements in public files in this medium are protected by the same laws and policies and are subject to the same limitations as communications in other media. The same holds true for electronic personal files and communications. However, users should exercise caution when committing confidential information to electronic media because the confidentiality of such material cannot be guaranteed. For example, routine maintenance or system administration of a computer may result in the contents of files and communications being seen. Also, under the Illinois Freedom of Information Act (FOIA), electronic files are treated in the same way as paper files. The documents in the files of employees of the State of Illinois are considered to be public documents, and may be subject to inspection through FOIA. In such cases, the Office of University Relations must inspect files to determine which portions may be exempt from disclosure. Network and system administrators are expected to treat the contents of electronic files as private and confidential. Any inspection of electronic files, and any action based upon such inspection, will be governed by all applicable U.S. and Illinois laws and by University policies. 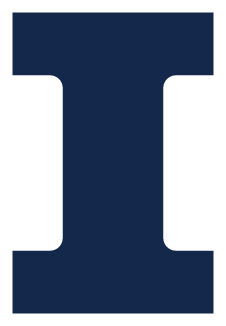 A network or system administrator who is unsure about how to deal with questions about the content of computer files or access to such files should contact the Campus Security Office, security@illinois.edu, (217) 265-0000.